Here is a photo of the window as it looked late last week. Bill helped me get the support structure for the tree finished. Yeah! This week, I got some work done on the red star and I got the lights put on the tree. The tree still needs to be painted green. Today I picked up 7 cases of candy from World Foods. I should have most of the candy I need for the window now except the sky which I’ll be order in the next week or so. I haven’t gotten as much done this week as I’d hope. I’ve been fighting a cold and I finally feel like I’m winning the battle after a week. Hopefully Saturday will be a good day to get lots of candy attached. 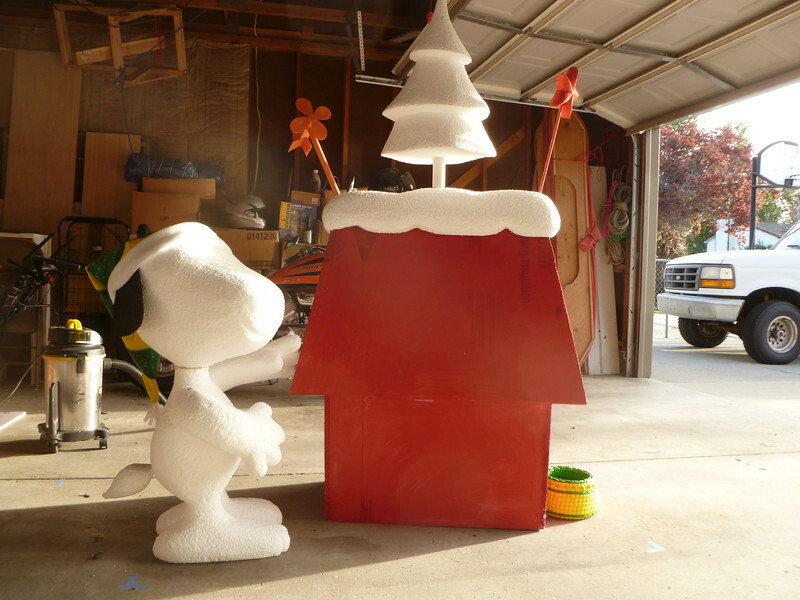 This entry was posted in My Life, Snoopy, Something Sweet and tagged candy, candy sculpture, Candy Window Display, Christmas, snoopy, South Jordan. Bookmark the permalink.